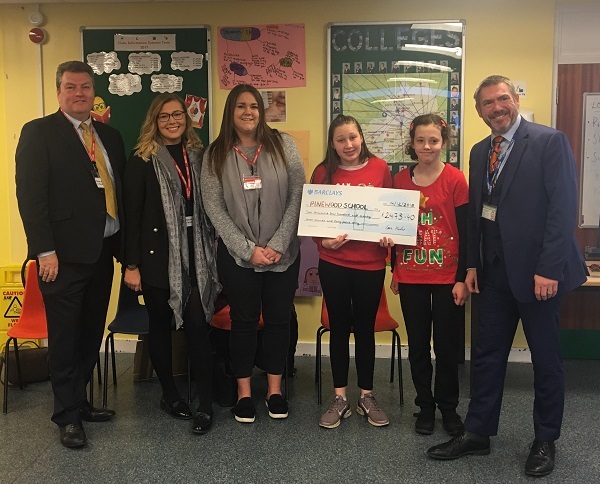 (Pictured left to right: Rob Lenane, Libby Barrow and Katy MacFadyen from Purchase Direct, with children from the school and David McGachen, Headteacher). We were delighted to raise funds to support our local community in November and recently donated £2,473 to Pinewood School, a state special school in Ware for children aged 11 to 16. Purchase Direct hold a charity day twice a year in support of a worthy charity and, most recently, Libby Barrow and Rob Lenane from our Account Management Team nominated Pinewood School. We held a number of events during our ‘Back to School’ fundraising day in the Purchase Direct office, which included a number of staff participating in ‘Sports Day’, plus various fun competitions and a raffle.